With prudent chemical management and rotational grazing, Rancher Susan Bergen created a winning formula for soil health. In the years leading up to 2012, the primary means of ranching our land utilized chemicals as the sole solution for plant management. But this killed plants that we know to be nutritious to cattle, like clover. Chemical spraying further diminished the ecosystem, causing limited root diversity. Varied root depths bring about soil health by opening up pathways at deeper levels and bringing up nutrients from the earth’s many layers. 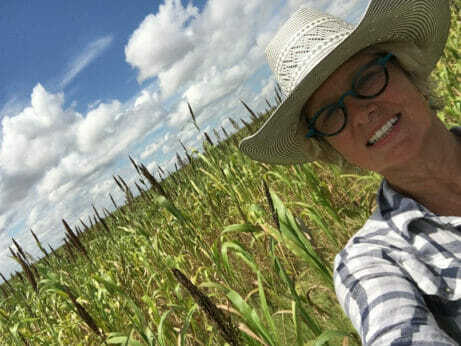 I loved walking my alfalfa field, and seeing how the cattle had eaten the weeds we used to work so hard to kill. It is my belief that the creed here at Peach Crest Ranch, “‘Selective minimization of chemicals,”’ ought to become the motto of any modern ranch. The changeover to rotational grazing established itself as the best tool to bring about the biggest change on our ranches. The rest time for the different grasses, coupled with the forbs that grew back, has allowed us to almost double the herd size on the same acres. In one previously overgrazed area, clover has returned to add to the quality of the forage. 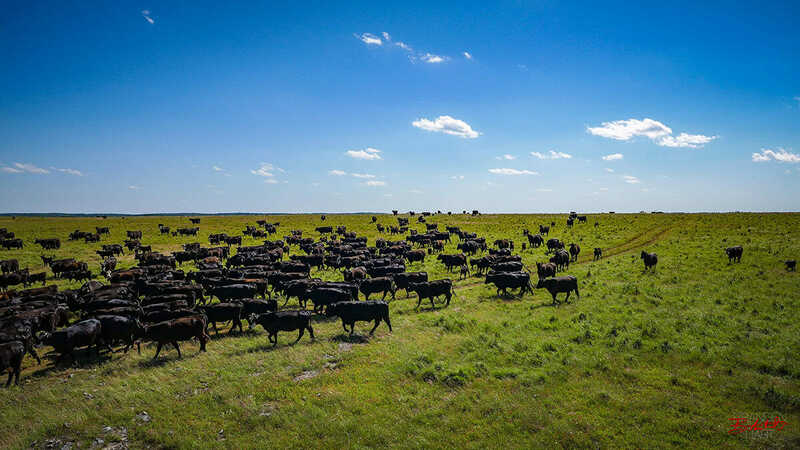 In spring, the stands grow tall when the cattle rotate in to begin grazing. In subsequent months, lush stands of Bermuda grass will have further developed in height. To finish out the year in mid-fall, we no-till drill a wheat-pea blend as cover crop. We now have a tremendous asset that had once been bare soil. 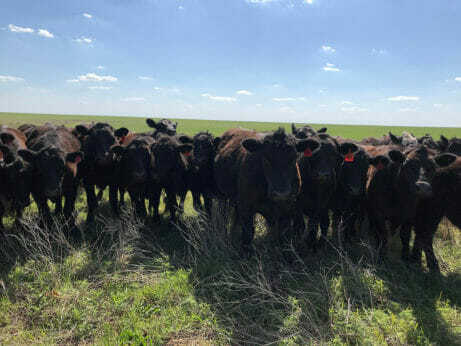 As a result of the prudent partnership between necessary chemicals and rotational grazing, the soil has become a sponge combatting the biggest threat to the ranch – drought.